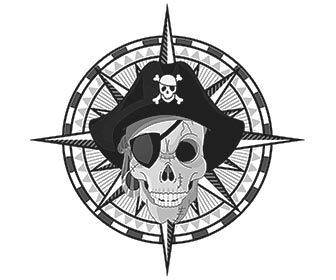 At first glance, explorers and pirates don't appear to belong on the same site. However, they are intrinsically linked by privateers. All privateers were effectively 'licensed' pirates, and some of the famous privateers from the 16th century, such as Drake and Hawkins, were also explorers. This site provides facts about some of the most famous explorers, pirates and privateers of the world. Famous Explorers of the World ! There have been many explorers who, throughout history, have discovered and explored many places previously unknown. From the peaks of the mountains to the depths of the oceans, and even into space, man's exploration continues today. Famous Pirates From History ! Piracy has been practiced for more than 2000 years, and continues today. Although the ships and weapons have changed, the intent and manner of those who perpetrate it has remained the same. The 'Golden Age of Piracy' produced some of the most well known pirates. Famous Privateers of the Past ! Privateers are basically pirates with the backing of their Governments or Sovereigns. This backing was given by the issue of 'Letters of Marque' allowing the privateers to carry out piratical acts on their enemies. Short Pirate Stories for Kids ! Explorers, Pirates & Privateers - Fun Facts Info for Kids !